Maryland Title Insurance : Common Real Estate Fraud Schemes Found In Maryland And Throughout The USA. Real estate fraud and schemes for financial gain are found everywhere in Maryland and the rest of the country for that matter. Understanding and educating ourselves is one of the best ways to avoid fraud or identify it before falling victim to a scheme that could cost you everything. There are many moving parts in our real estate transactions and a large group of people and entities involved. The fact we have so many moving parts and so many people involved create opportunities for deception and fraudulent schemers. Appraisers, Banks, Lenders, Loan Officers, Underwriters, Processors, Abstractors, Surveyors, Inspectors, Auctioneers, Attorneys, Title Agents, Insurance Agents, Buyers, Sellers, Builders, Developers, Contractors, Brokers, Real Estate Agents, Investors and Court Recorders represent many of the individuals who can play a role in real estate transactions and processes. It is easy imagine with this many moving parts and hands in the cookie jar, the opportunities for fraud exist and occur. Let's all take some responsibility for education and awareness as one of the best methods to avoiding fraud or damaging schemes. Recognizing the danger signals and common ways these fraudulent methods are played out will help you avoid and detect fraud before it happens. There is no guarantee we can avoid every possible situation but if we can learn together protect ourselves from the common schemes we will all be better off. This is a simple form of fraud in which the title insurance agent or the attorney managing the escrow funds directs the money in escrow elsewhere to his/her benefit and leaves town with the funds. This is always a surprise to everyone involved yet it still happens in the industry. Lender's send monies to the escrow agent, attorney or title agency for settlement funding, payoffs and other purposes prior to settlement. Once settlement occurs they assume the monies have been moved to all the appropriate places when in fact a fraudulent person simply directs what should have been delivered to one place to another for their personal gain or benefit. The amount of monies involved in real estate transactions make it easy for a fraudster to obtain significant monies before being detected or found out. One way to deter this difficult scheme is to make sure you are using a title agency or settlement company that is conforming to industry best practices by performing background checks on employees, is bonded, holds a current license, has E&O insurance, daily reconciliation and other best practices requirements to minimize the chance of defalcation fraud. One of the best things the title industry has going for it now is national best practice standards. From a financial perspective without going into detail title agents in Maryland who conform to best practices have more than one person keeping track of and authorizing escrow money movement so while it's not impossible is much harder for an individual to commit fraud and go undetected for any long period of time. Nothing is perfect but we are heading in the right direction. For this reason we recommend you find a local title agent in Maryland and that you get some references and do your due diligence before making a final decision about who is handling your escrow monies for your next real estate transaction in Maryland. From a fraud perspective “flipping” occurs when several people work together to form a team of deception. Most commonly this involves a buyer, closer, appraiser and possibly a potential secondary buyer. At the heart of the scam is the inflation of property value to obtain financing monies from a lender. The first stage is the buyer takes out mortgage for the homes actual value or cost to acquire. Then some fake or falsified improvements are supposedly done creating the opportunity to demonstrate a new higher value on an appraisal. The increase is justified by the improvements or additions to the initial property. The problem is the improvements are not real and the value is falsely represented on the appraisal. The bank gets an application for a second mortgage or home equity loan for the increase and with the false appraisal lends the money largely unsecured. Subsequently the property is then sold quickly “hence the word flipping” to a new buyer who may or may not be in on on the scam. Then the fraudsters abscond with the money and the new buyer often defaults on the loan. Lenders and Banks are the ones bearing the majority of the losses in this situation. 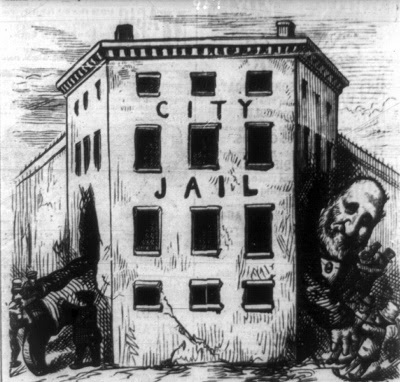 Occurs mainly when the elderly, mentally vulnerable and those financially at risk of foreclosure are targeted by those criminals who intend to manipulate them into signing paperwork and legal documents that are a detriment to their best interests. Commonly done door to door with a high pressure sales pitch offering a deal to good to be true for a new loan. Bait like no money down and no credit check are offered to lure the borrower to sign paperwork for a new loan where interest rates and terms are not favorable or what the borrower could have possibly qualified for by going through normal underwriting for a loan. This method can also me initiated by phone solicitation followed by and appointment with and aggressive sales person. When individuals are faced with foreclosure others may see them as vulnerable and desperate. Scamming persons will use aggressive ads and telemarketers to promise relief from debt and perhaps a reduction or release from the entire burden. All of this in exchange for a fee. The fee is collected and the fraudster leaves and doesn't perform any of the promised services. Often the kind of information a person needs when facing foreclosure is available on government websites or working with an attorney specializing in this area of legal practice. A traditional form of fraud and theft where the personal private information of the victim is obtained by the criminal. The information is used to forge false loan applications and documents. The forgery can continue to the deed for the purpose of steal the equity in the property of the victim. For our friends and family members we can be aware of those who are elderly, lack financial sophistication and keep and eye on them. Communicate regularly and educate them on the warning signs. Encourage open lines of communication before making any major financial decisions. Don't trust the stranger day one. Help each other by creating awareness and methods for simple due diligence before entering into legal agreements or signing documents. Continue to do business with your local trusted adviser who is well established and recommended to you by your local Chamber of Commerce, Bar Association etc. Look for experienced professionals recommended by trade associations, industry peers and ask them for references you know. 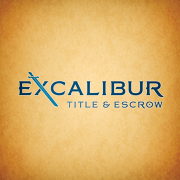 Excalibur Title and Escrow, LLC is proud to be celebrating our10 year anniversary and to be able to provide you with information. We are happy to provide numerous references in the industry to bankers, lenders, realtors and past customers whom we have done business with for years should you need a title agency for your next real estate settlement in Maryland. Ask the hard questions and don't be afraid to get the information you need to make and informed decision. We hope this post is helpful and please pass the word along.